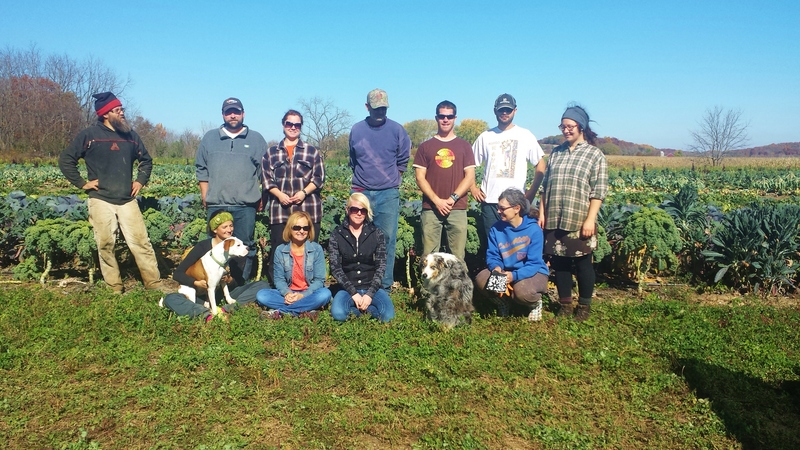 The harvest continues at the farm! These past few gorgeous days have been so wonderful to work in, but I know those long, finger-numbing harvest days are just ahead. It will be good weather for soups and stews soon and we have just the right vegetables here for you to make them! 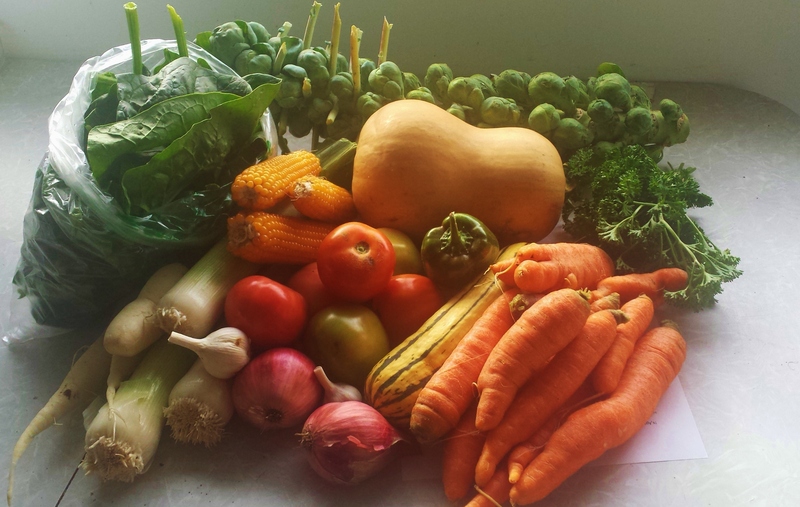 Our summer CSA season has ended, but there is still a lot that we haven’t even harvested! 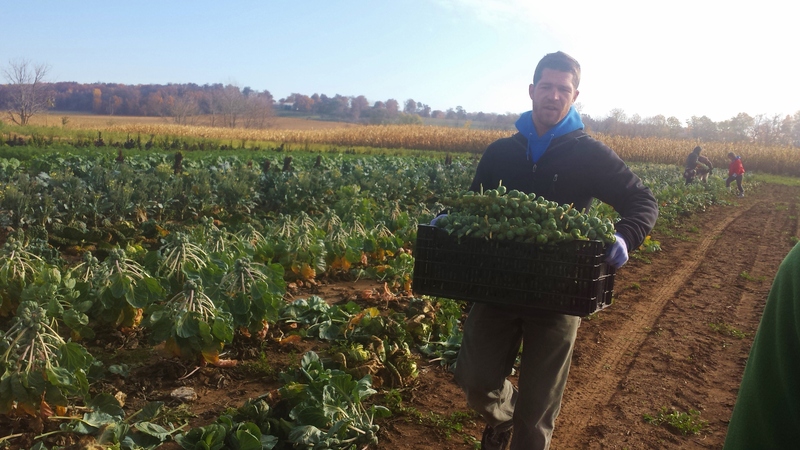 Much of our fall harvest is reserved for our Winter CSA shares but there is an abundance of some of our fall crops available for anyone to purchase. As we shift gears for the winter, we are planning on several “Open Farm” days at the farm with lots of goods for everyone to stock up on. 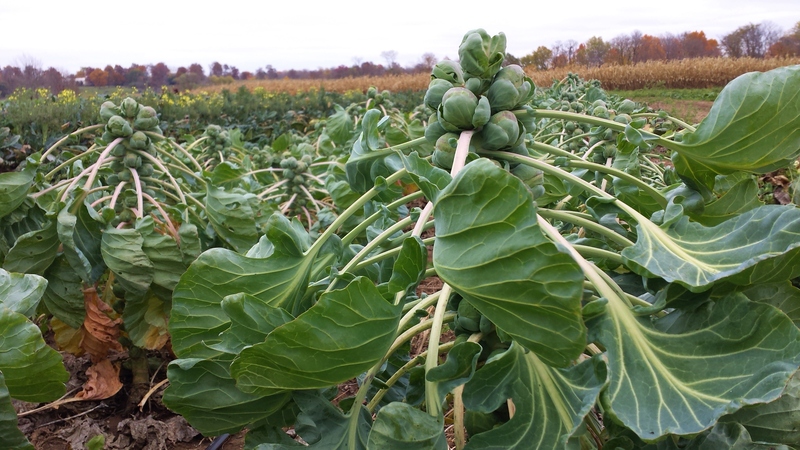 Meanwhile, we have very fresh, certified organic produce available for you at the farm all this month. We will be “open” to the public this Saturday, November 1 from 10:00 – 3:00 pm. You are also welcome to pre-order and pick up anytime if you make arrangements to pick up ahead of time. Call 920-699-3658 or 920-988-5023. Check out the list of produce that you have to choose from HERE. 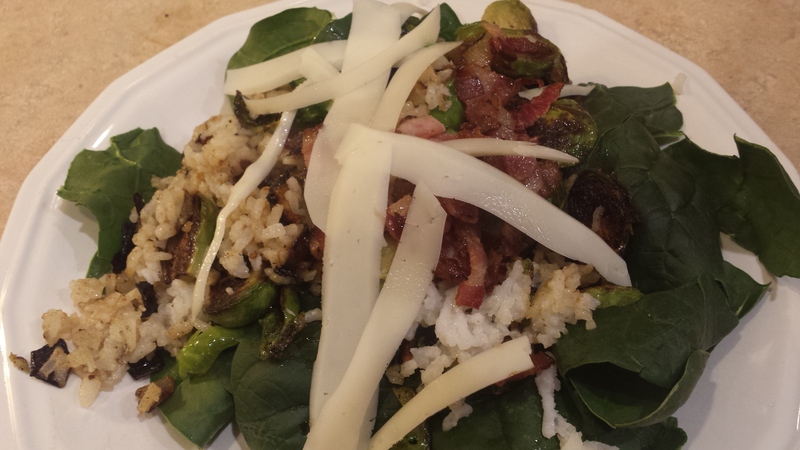 This entry was posted in CSA, Produce Shares, Vegetables and tagged Fall produce, Jefferson County, local produce, storage vegetables, WI on 27 Oct 2014 by Meg. Does that make it a melon? Well, that is debatable. There was a little friendly finger pointing going on here as to how seed for ‘Citron’ melons were ordered last winter because they were not on the original seed order list. Checking back to our planting records, it appears that they were a gift from a fellow seed saver. 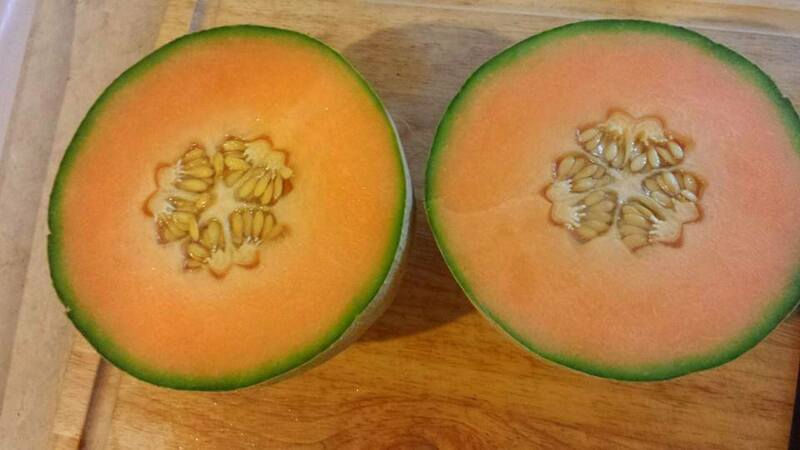 They were planted none the less and we assumed they would be, well, melons…the kind that you could eat. They are beautiful. Eye-catching and intriguing and also nearly i mpenetrable with a regular knife and once inside, they are hard, white and um, not very tasty. So why do people cultivate them and save the seeds? That’s what we would like to know. We are puzzled about this and also determined to find either a use for them or good homes for them. Someone, somewhere is looking for these, unusual heirloom specialties, I just know it and I am here to help. Research tells us that they are ancestors of the watermelon and native to the Kalahari Desert of Africa and that there are records of cultivation of this plant dating back 4,000 years. They are loaded with pectin and for that reason they are used for making preserves. Other than that, we have not found many recipes or uses for ‘Citron’ melons although today, my husband Mike may have made a new and important discovery; grilled ‘Citron’ steaks. It’s possible that someone else has already tried this, but I admit being somewhat amused and impressed by his Sunday morning grilling adventure. I was also surprised to find out what an improvement in flavor there was after they were grilled. 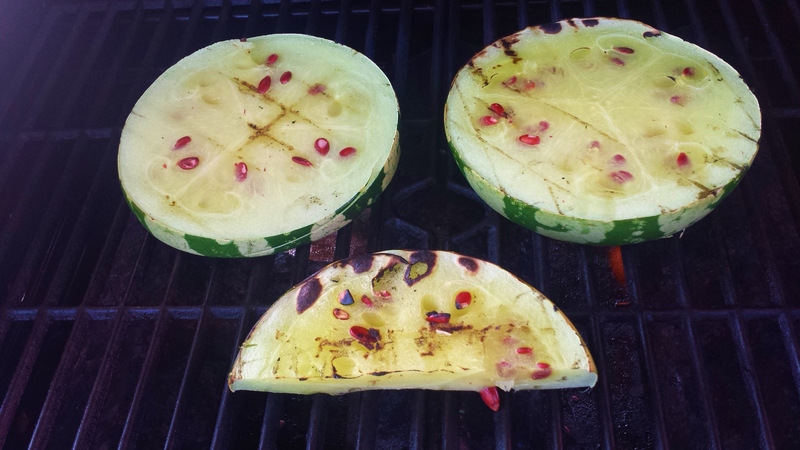 Grilling actually brought out a little watermelon flavor (undetectable when raw) and they held up well to grilling. The texture was good, too. Lightly salting them is enough to enhance the flavor. We tried a piece with sugar and another with olive oil, but simply salted was both of our favorite. One more thing that is worth mentioning is that the seeds are beautiful. 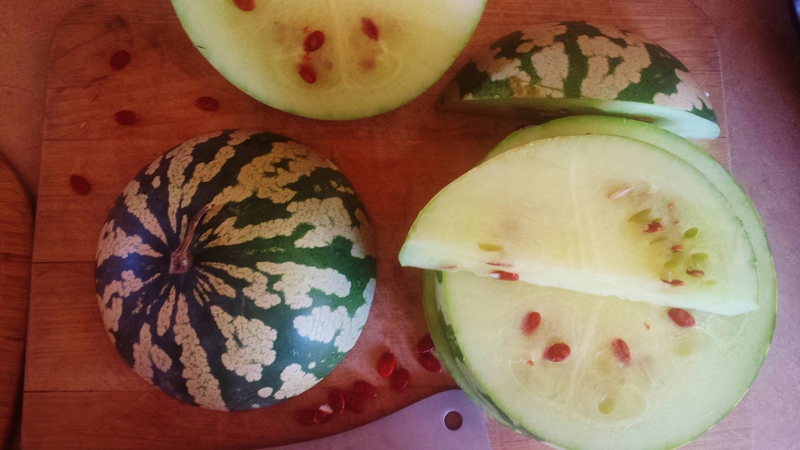 They are bright red and very striking in the white fruit of the melon. 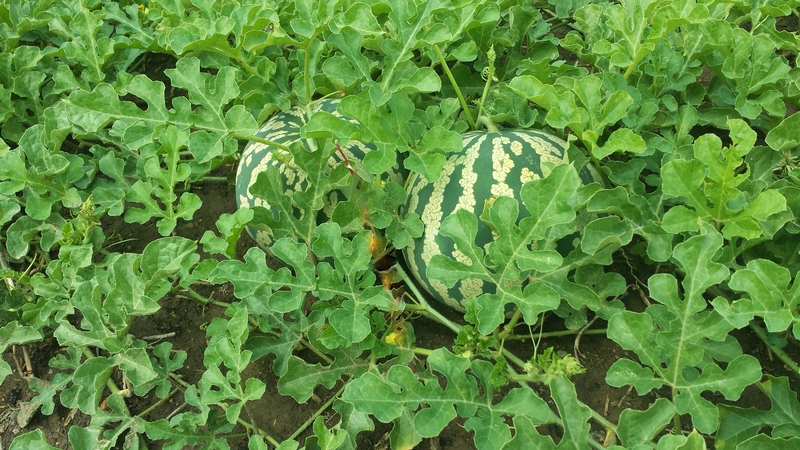 I have a feeling that we will have a few of these melons left at the end of the season and although I don’t expect that we’ll save many of the seeds for replanting, I am considering other possibilities; jewelry, mosaics, trivets…winters can be pretty long here. 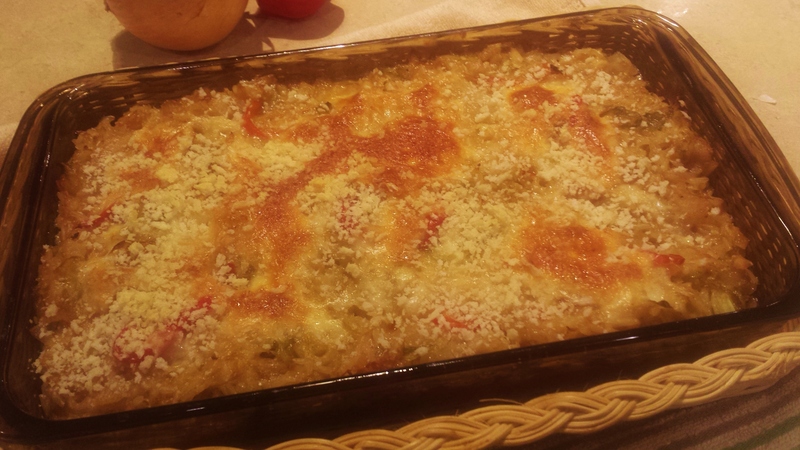 This entry was posted in The Farm, Vegetables and tagged Adirondack Blue, cantaloupe, citron melons, for sale, freezing melon, grilled melon, melon smoothies, sarah's choice on 28 Sep 2014 by Meg.